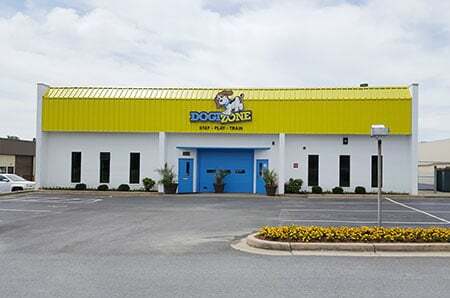 DogiZone is conveniently located at 501 E Gude Dr in Rockville, MD. We provide Dog Boarding, Dog Daycare, and Dog Training and are conveniently located with easy access from Montgomery, Frederick, and surrounding counties in Maryland and Virginia. From Baltimore take 395 south to I95 south. Then take MD 200 west to Exit 8a Georgia Ave. Then take a right on Norbeck Rd. Then make a right on Gude Dr. and turn left onto Display Ct. Our building will be on your left hand side. From I-495 take 495 to I 270 north to MD2 8 exit 6B. Turn right on Research Blvd and right on west Gude Dr. stay straight on gude and cross over MD 355. You make a right at the light of Calhoun Pl and our building will be on you right hand side.